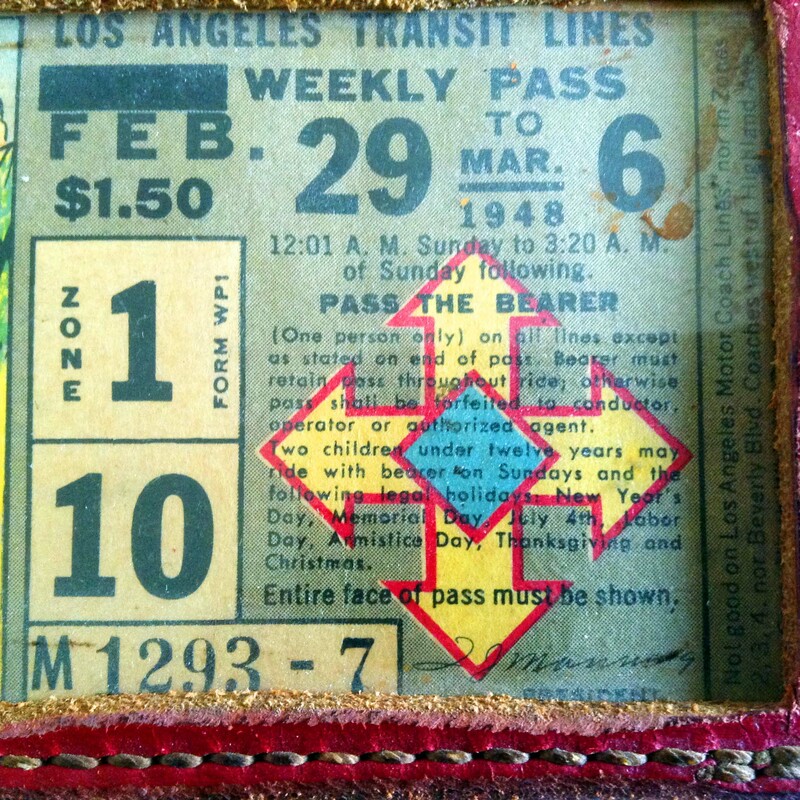 From the collection of Al Donnelly comes this beautifully preserved 1949 pass for the Los Angeles Transit Lines. 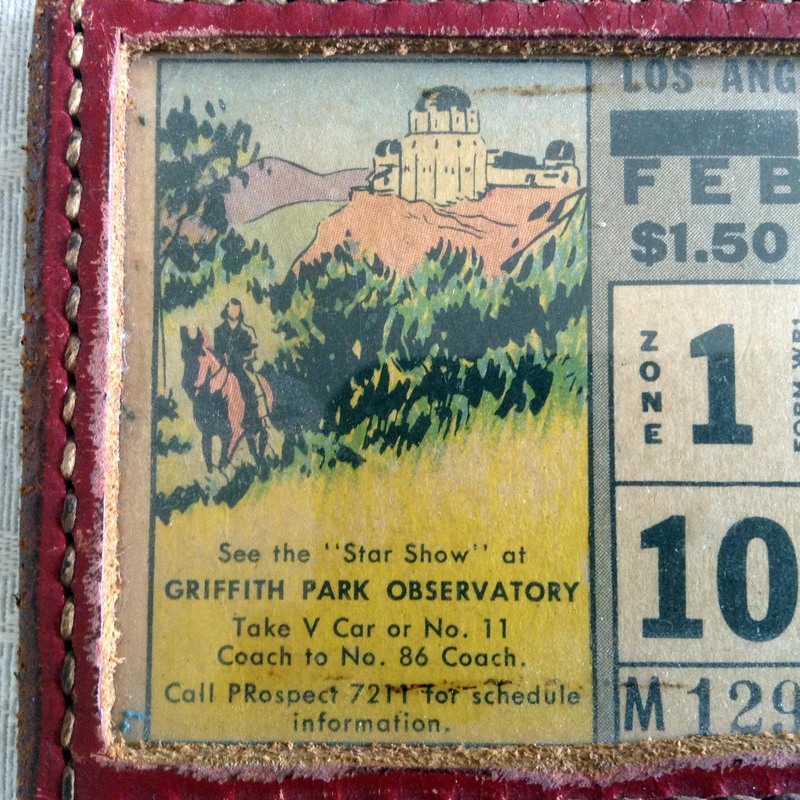 As Al puts it, “a weekly pass six years before James Dean made the observatory into an icon.” Thanks for sharing, Al! What a fine memory! Me and pals would take the A car to 24th and Vermont, transfer to the V car and go to end of line to take the bus up to the observatory. 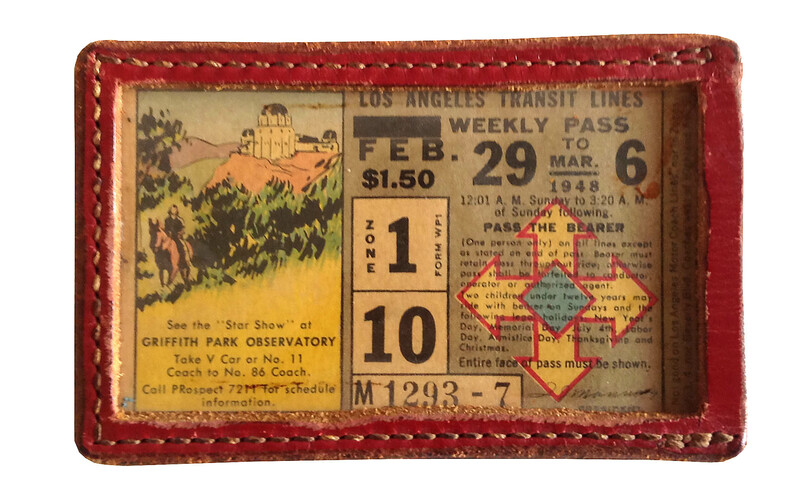 I think the fare was 20 cents one way.